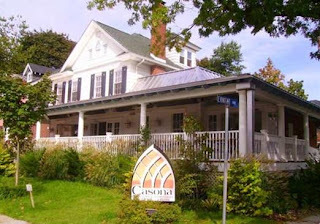 Casona, a Cuban/modern Latin restaurant in Collingswood, New Jersey, will host its first gluten-free dining event on Thursday, March 11. Owners Mark and Michele Infantado are offering a special four-course menu for $30 per person plus tax and gratuity, prepared by Executive Chef Carmelo Petit. The dinner includes a choice of soup or salad, and appetizer, entrée and dessert suggestions. (Casona's full gluten-free menu will be available for those who want to order a la carte.) Children ages 12 and under have their own menu that includes a choice of entrée, side and beverage, priced at $6.95 per child plus tax and gratuity. The restaurant is BYOB, so feel free to bring your own gluten-free wine, spirits or beer. The children's entrées are citrus pork, Cuban pizza and quesadillas. Sides include yuca fries, french fries, salad, rice and beans. In an effort to accommodate people from many parts of the Delaware Valley who have expressed interest in attending this event, the menus will be offered from 5 p.m. to 9 p.m. rather than at set seating times. I suspect families with younger children like ours will be dining on the earlier side (although I plan on being there for the better part of the evening). Reservations are a must, and can be made by calling Casona at 856-854-5555 or online through OpenTable. Mention “Gluten Free Philly” when calling or add a note under the “special requests” section when making an online reservation. Casona is located at 563 Haddon Avenue in Collingswood; driving directions are available here and through Google Maps. Metered parking is available along Haddon Avenue. The restaurant is less than a 15-minute walk along Haddon Avenue from PATCO's Collingswood Station, where taxi service is available. Shabtai Gourmet will be sponsoring the door prizes. Attendees will have an opportunity to win one of three prize packs, each consisting of five items from Shabtai's selection of delicious gluten-free baked goods chosen by the winners. Diners can fill out an entry form at the event (one per party, please). I'll randomly select the winners shortly after the event and contact them by e-mail. I look forward to meeting many of you there!